Speedy Ortiz is getting some love, and rightfully so. 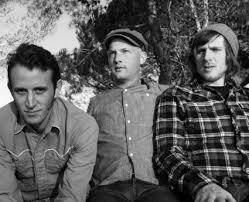 . . their album “Major Arcana” is very, very niiiice. The melodies attach themselves to your medulla oblongata and deposit gritty pebble sized guitar notes that you’ll have a difficult time srubbing clean. Be prepared to foster their grunge pop into your life for the foreseeable future, you will not be disappointed. A return to the music! The Visibles, a SF bay area band, released their self-titled debut LP this May and they open Season 4 of 1 Song 1 Show. Tucked away in the evergreens of Fairfax CA, The Visibles are a local favorite; and they have put out an impeccably produced album, hopefully one of many to come. Happy Jawbone Family Band is as quirky as their name implies, and if I’ve learned anything about creative people, I’ve learned that they absolutely adore the moniker “quirky”. HJFB is not quirky, they are good. It is music that evokes and emotes. It puts me in a place distinctly within my mind and soul, a familiar place, a place that is comfortable, that is me- quirky. what. 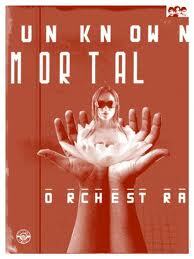 Unknown Mortal Orchestra released II this year and are on the road until forever, check their site for when they’ll be in your town, and pick up the album because it needs you. They are groovy New Zealanders with a lo-fi psychedelic coating of awesome. Thresholder have a 7″ that may or may not still be free for the taking- send an email to neilson133 AT gmail DOT com and ask for yours today. They’ve also got a tumblr—> here.